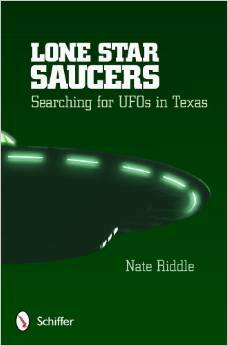 Take an out-of-this-world journey across Texas in search of answers to the enduring UFO mystery. Discover the earliest UFO sightings in the state and relive an unprecedented wave of historic “airship” reports. Read compelling eyewitness accounts of the landmark “Stephenville Lights” sightings. Explore modern field investigation and research efforts with prominent members of the Mutual UFO Network (MUFON). Examine implications of continued space exploration and the apparent alien presence with former NASA astronaut Edgar Mitchell. Experience the personal effects of close encounters and efforts to raise awareness about the phenomenon with dedicated investigators. Uncover unexpected aspects of the continued study of flying saucers with noted writer, lecturer, and Ufologist Nick Redfern. It’s time to grab your binoculars, saddle up, and keep watching the skies as we go in search of Lone Star Saucers.